PINELLAS COUNTY, Fla. — U.S. 19 is considered one of the most congested and dangerous roads in Pinellas County. 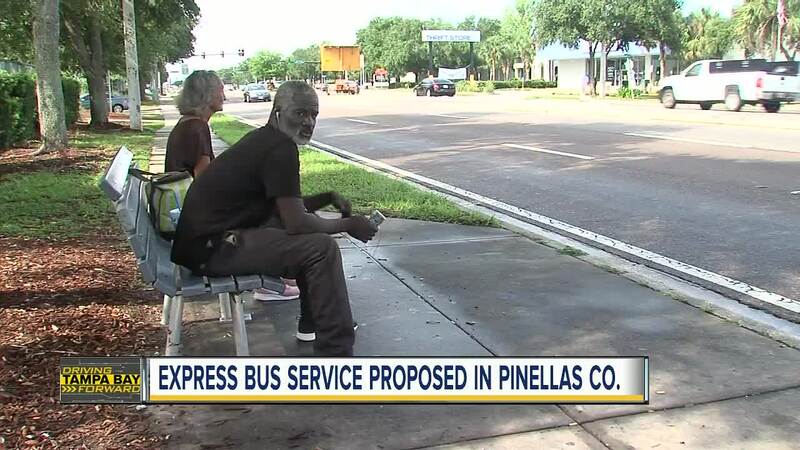 Now, a plan could create express bus service to try and eliminate those traffic headaches. U.S. 19 is the main way people can get from North to South in Pinellas County, as the road spreads all the way from Tarpon Springs to St. Petersburg. County leaders are now considering three express or limited-stop bus concepts designed to get down this corridor safely and hopefully quicker. They will be discussing the concept Monday. 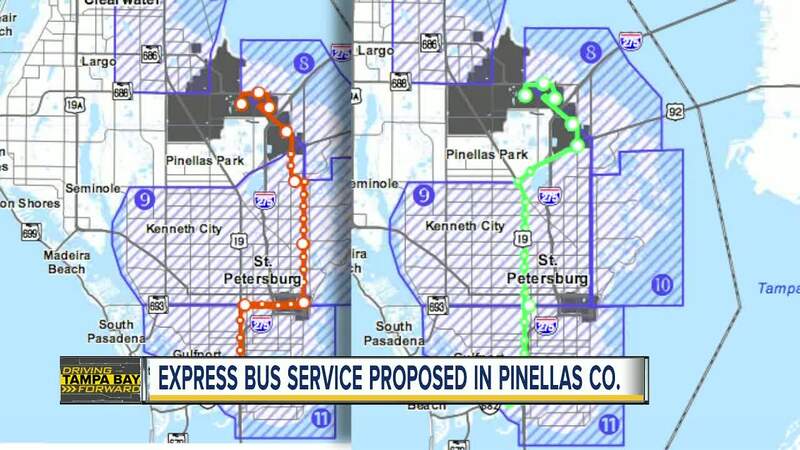 The first is an express bus route from Northern Pinellas County and Western Pasco to the Gateway Area. The idea is that commuters can park at places like the Tarpon Mall or Countryside Mall and ride. The stops would run every 30 minutes. 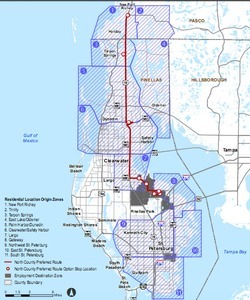 There are also two other routes under consideration connecting South Pinellas County to Downtown St. Petersburg and the Gateway area. To ride one-way, studies found, it would take about 90 minutes for the limited-service routes. It would take about an hour for the express bus service. However, that route is much longer. View the full proposal here .